The complete state-of-the-art guide to 3-D computer animation and imaging. Incorporating the latest computer animation techniques and technology, this outstanding guide offers clear step-by-step coverage of the entire process of creating a fully rendered 3-D computer still image or animation from modeling and rendering to animation and compositing. Designed to work with any computer platform, the book cuts through the technical jargon and features hundreds of inspiring color images and easy-to-understand instructive diagrams many of them new from visual effects in movies, animated films, TV shows, and computer games. 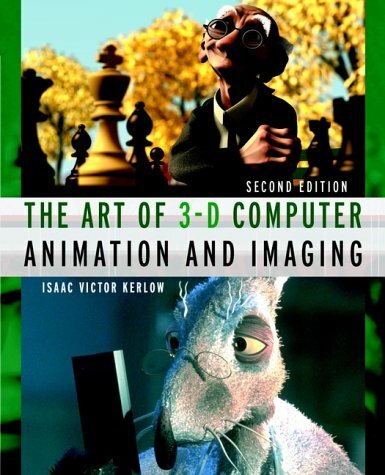 This edition has been fully revised and updated, including new material on the latest character and facial animation techniques and an overview of the digital production process, plus information on subdivision surfaces, image-based rendering, motion capture, and other current techniques. Whether you are a student, an independent artist or creator, or a production company team member, you'll find countless expert tips on how to improve the artistic and technical level of your 3-D computer animation. * Up-to-date guide to Internet resources.